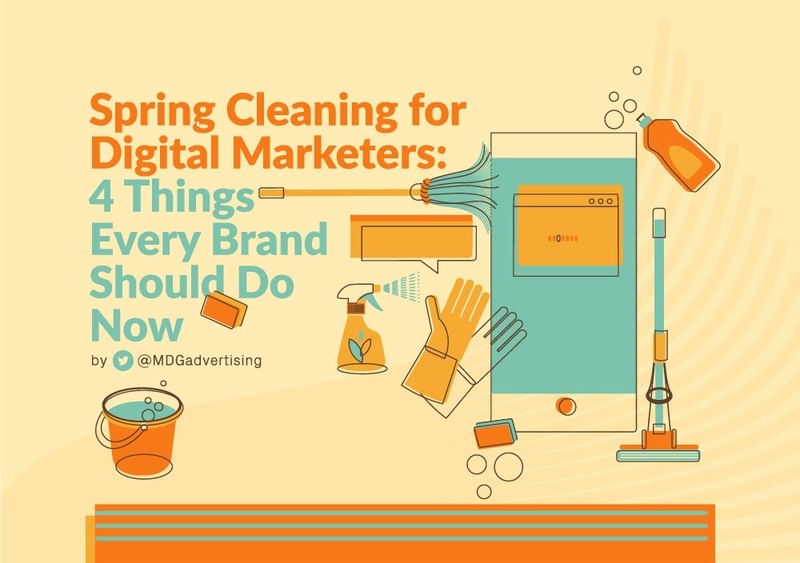 Spring is here – and it’s a great time to rethink your brand’s marketing approaches. The world of marketing is constantly changing, and savvy brands work to stay ahead of the latest tools and trends. However, if you’ve been using the same tools and techniques for some time now, chances are they could use some sprucing up. So, which marketing approaches could use a dusting off this season? MDG’s new infographic has the answers. Every business is different and faces unique challenges when it comes to optimizing their marketing strategies. However, there are four key areas that require regular analysis. Social media remains a top priority among marketers, who sometimes struggle to stay current in its ever-changing landscape. This spring, look at your current channels to see which ones are working – and which ones aren’t. Are the platforms you choose relevant to your audience’s interests? In addition to taking a close look at social media channels, brands must ensure their website pages are mobile-friendly. Customers are continuing to gravitate toward mobile search, and slow load speeds often cause them to leave the page. Data security is another important factor – brands that struggle with security tend to lose customer loyalty. Lastly, it’s time to fully invest in marketing attribution, which is known as the “holy grail” in marketing. Learning how to harness the power of attribution allows you to gain valuable insight into consumer behavior. Analyzing so many channels and processes may seem like a difficult task, but investing in your strategies now will produce returns all year long. To learn more about how you can take your efforts to the next level in 2018, check out the full infographic from MDG.